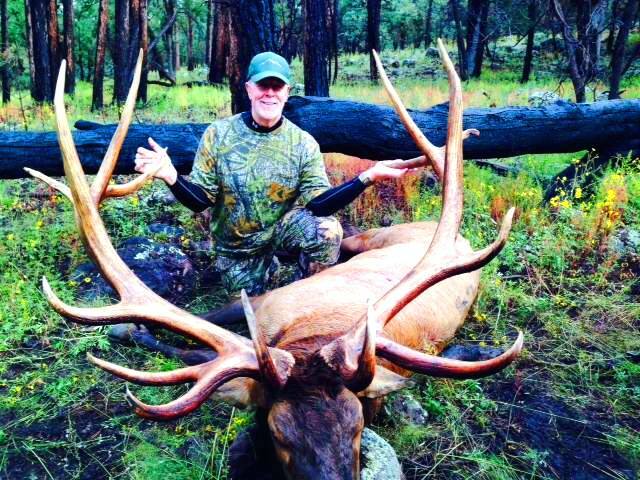 The San Carlos Apache Reservation offers Trophy Elk hunting in three seperate units; the Drylake, Hilltop, and Ninemile, each of which are nearly half a million acres in size. The vast areas these hunts encompass assure the hunter that the trophy of a lifetime could be just around the corner along with an unforgettable hunting experience which is second to none. Sounds management practice combined with a superior gene pool provides the foundation for bull elk to each their full potential in these areas year after year. A licensed San Carlos Apache Tribal Guide is required on all Tropy Elk hunts and hunters can browse the guide list to speak one on one with their potential guide. Contact us for the further information about hunt availability and any other questions you may have.